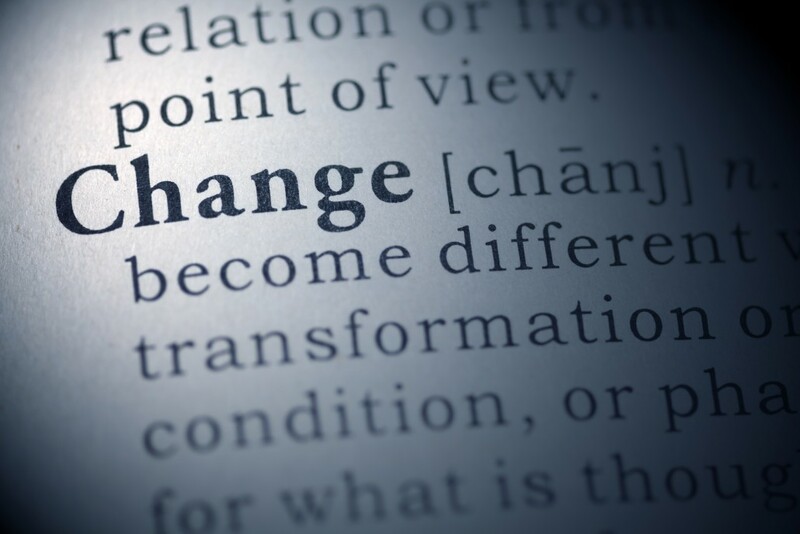 Initiating Change: Do I Have To? You have a big smile right now, don’t you? Of course you do. I do. It’s not usually a lack of will power. It’s not normally a lack of desire or know-how to change. Often times we set ourselves up for failure simply by missing the essence of what’s really important to us inside the desired change. And then adding on top of that unrealistic expectations. If the desired change is coming from a place of fear, rejection, self-hatred or anger, chances are results will vary, to put it mildly. If you say, “I don’t want to be fat,” all of your energy is focused on what you don’t want. If I tell you NOT to think of elephants right now, what did you just think about? See how that works? Instead, let’s think of a better “purpose” for your change. Like maybe, “I want to exercise because I enjoy feeling my body and I love feeling energized and happy.” Or, “I want to exercise because I love being healthy for my family.” See how those statements are filled with more inherent enthusiasm. I often play with the “food and willpower” issue by thinking about what will make me happier. I think about how I will feel after I eat something. Which choice shows more LOVE towards my body? And don’t get this wrong. Sometimes the absolute right answer WILL be “I want to eat ice cream with my friends!” Ben Franklin says, “What one relishes nourishes.” Relish in good decisions – in a moment-by-moment basis. And remember your purpose. The other piece of initiating change is thinking SMALL. What ONE thing can you do today to support your desired change? Maybe you say, “I’m going to exercise 1 day this week. Then next week, I will do 2 days. Then the next week I will do 3 days.” By the end of the month, you are exercising 4 days a week. Not bad, eh? This is almost always a more successful approach then trying to exercise 4 days in the first week, burning out and quitting. And remember this when you get stuck and feel like “one small step” just ain’t enough. A rocket ship that changes it’s course by ONE degree will slowly change its trajectory and end up in a completely different place on the planet in 1, 2, 5 years from now. One degree might not seem like much on the first day, but it will sure change the landscape of where you land. https://govisioneers.com/wp-content/uploads/2015/05/AdobeStock_59582449.jpg 3744 5616 Andrew Hogan https://govisioneers.com/wp-content/uploads/2015/05/logo_govisioneers-300x108.png Andrew Hogan2015-05-28 17:04:312015-06-24 17:28:32Initiating Change: Do I Have To?